On May 16, 1978, Joe Angelastri opened up the corner newsstand that would become the largest magazine store in Chicago, and one of the largest news newsstands in the country, City Newsstand. Twenty-five years later it has grown into the two largest newsstands in Chicagoland and it’s still growing! Just how big is the selection at City Newsstand? While the average supermarket or drug store has up to 20 linear feet of magazine racks, City Newsstand has 200 linear feet of magazine racks — ten times as many! Of course it’s not about the fixtures, it’s about the magazines, and City Newsstand has so many magazines on so many different subjects it can be mind-boggling. From motor sports to music, politics to poetry, or collectibles to comics, City Newsstand has something for everyone. City Newsstand’s selection is so diverse that some customers come from as far away as Iowa and Wisconsin to shop there. It all started when Joe Angelastri, at the age of 18, bought the corner newsstand at 4002 N. Milwaukee. Joe had run a paper route as a boy and worked at newsstands as a teenager, so he already knew something about the business, but standing on the same corner every day for years selling newspapers and magazines, he learned more about running a newsstand than a college course could ever teach. He also had time to think about the future of newsstands and what the ultimate newsstand might be like. His daydreams started to become reality when he was approached by the owner of a book store around the corner. They were looking for someone to buy the store. Joe jumped on it, not because he wanted to own a bookstore, but because he had an idea. One of the things Joe liked to do when he wasn’t working at his newsstand, was visit other newsstands, in Chicago and across the country, to see what they were doing. One of those stands was the old Chicago-Main Newsstand in Evanston, which at the time was perhaps the largest newsstand in the Midwest. So when he reopened the bookstore on January 2, 1988, it was with the idea of realizing his dreams of the ultimate newsstand. City Newsstand was born! 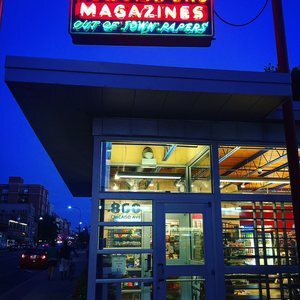 Five years later, with the store completely converted to magazines, Joe got the shocking news that the Chicago-Main Newsstand had closed due to a rent dispute. Now that City Newsstand was the only really large newsstand around, business took off. Eight months later, on May 29th, 1994, Joe reached another milestone when he sold his one millionth magazine. 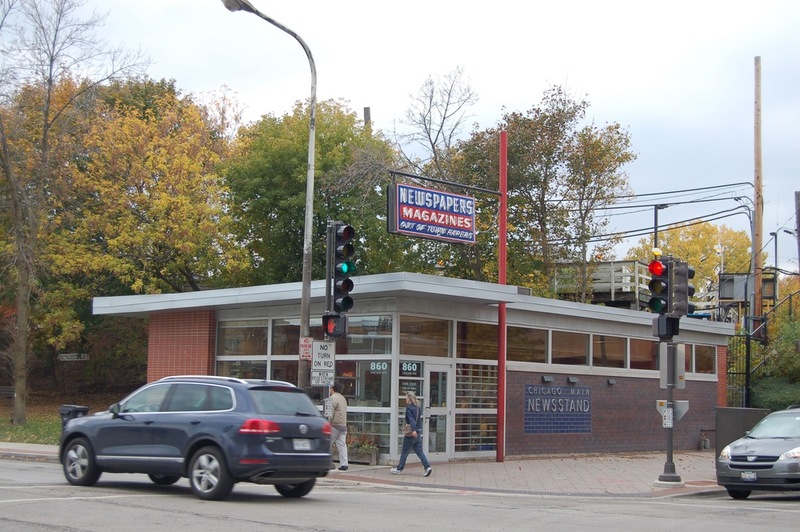 In 1999 Joe began hearing rumors that the City of Evanston was interested in purchasing the old Chicago-Main Newsstand with the idea of knocking it down and extending the park that lay to the south of it. But many in the community wanted it to be a newsstand again. In 2000, Eric Singer, owner of the Lucky Platter restaurant down the street from Chicago-Main and 3rd ward Alderman Melissa Wynne contacted Joe. Once Joe was chosen officially, he brought in Evanston architect Dave Forte to bring the old brick newsstand into the 21st century. After taking the original structure down to just 2 walls and the foundation, a new steel support structure was erected, a glass and aluminum storefront was installed, a higher roof was implemented to allow more natural light in through high windows on the north wall. Another accomplishment was acquiring the original neon sign, having it refurbished and re-hung on a newly erected standard.